How Far is The Central Regency Address? · The Central Regency Address much like its name is a regal address that is centrally located; an exquisite marvel that is within touching distance of everything you can imagine. The Central Regency Address is a class apart that brings luxurious living to the altar of proximity. · A meticulously crafted residential project offering 81 units of 2 & 3 BHK premium apartments. A state of the art clubhouse, outdoor swimming pool and squash court are some of the exquisite features of this centrally located project. Embrace yourself with everything you wished for at The Central Regency Address, your home crafted in the centre of everything. · Located off Sarjapur Road, within walking distance of Bangalore's IT corridor, The Central Regency Address is designed to offer you the comforts of exquisite luxury and accessibility. It is a meticulously crafted residential project with 81 units of well-designed, 2 & 3 BHK apartments. · With world-class hospitals, educational institutes, shopping malls, and restaurants in close proximity, The Central Regency Address offers you everything you need to lead a peaceful, comfortable life. With spacious open spaces, gardens, grand swimming pools, and expansive outdoor play areas, The Central Regency Address is the cue you need to adopt an active and healthy lifestyle. The project houses a vogue clubhouse with a spacious indoor auditorium, community halls, dining areas, a well-equipped gym, and indoor sports facilities. · Planned by experienced architects and built with the best-in-class material, The Central Regency Address stands proudly as a symbol of quality and finesse. Round-the-clock security, backed by modern technology ensures that you live in a safe, secure, and well-protected abode away from the chaos of city life.Come, join the secure community of The Central Regency Address and seize the comforts of a new home of absolute grandeur. ·Located right next to major commercial establishments such as Big Bazaar. 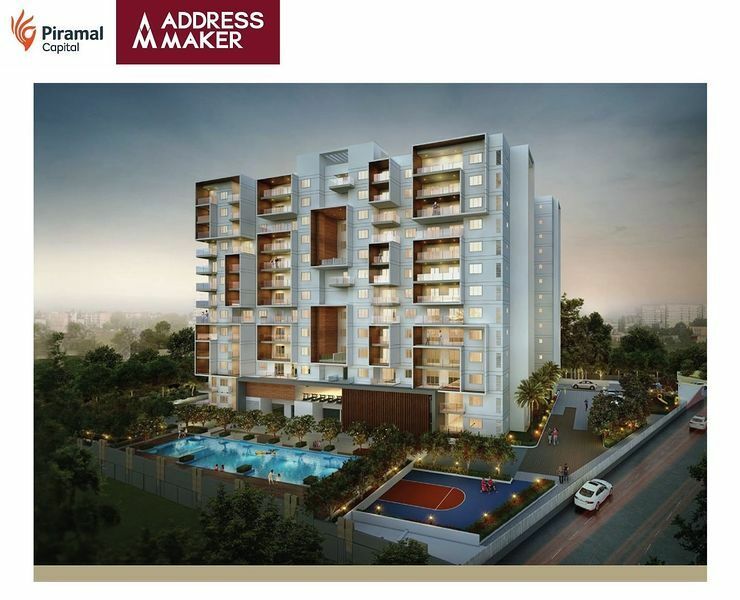 The Address Makers is a professionally managed Real Estate development arm of PIRAMAL CAPITAL. The County Address one of the plot development projects of the builder planned on a BMRDA Approved Layout designed with various dimensions of plots to suit your desired home. The C++ Address one of the under-construction projects by the builder is tucked with 3,4 BHK Villa in Electronic City and plots of various dimensions. The property is a perfect home and a realty investing opportunity with high potential returns. The Central Regency Address one of the esteemed projects yet to be delivered by the builder located in Bellandur is pelted with 2,3,4 BHK Apartment, the project is built with a thought to satisfy both compact and luxury home seekers. Piramal Fund Management brings to you a professionally managed Real Estate Development entity, The Address Makers. Known for their unique residential offerings they have a long-term vision of providing the best of comfort and luxury with all their projects. The best of expertise and dedicated team of professionals reigning the helm of Real Industry are associated with THE ADDRESS MAKERS making it a dedicated Real Industry company which boasts of successful implementation and timely delivery of all their projects.